In the 1880s, one J.W. Yowell opened a store alongside the road leading from Pecan Gap to Commerce. Evidently the community that grew alongside the store adopted the name. In 1900 the Yowell Methodist Episcopal Church South was established. Although the community was comprised of only fifteen people in 1915, it had the rudimental businesses, including a drugstore and a school. 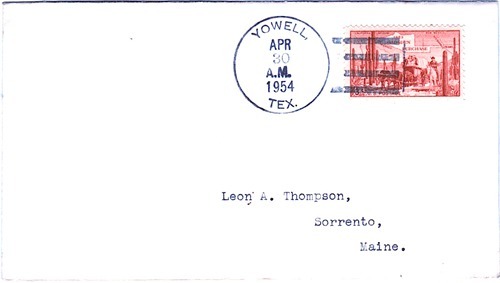 The post office wasn’t opened until the 1920s and by the middle of that decade, Yowell’s population had risen to a respectable 150 residents. By 1940 rhe population had declined to seventy. Three businesses were in operation and Yowell had two churches. After the war the two businesses closed. 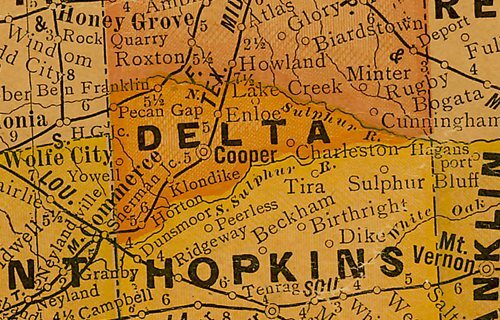 Schoolchildren attended classes in Cooper by 1970 and for the 1990 census the population was a mere fifteen people. That figure was used again in 2000.